In July of 2012, DJH Construction Inc. was hired to design, install, and monitor a photovoltaic solar system for the 2 Journey Medical Plaza in Aliso Viejo, CA. 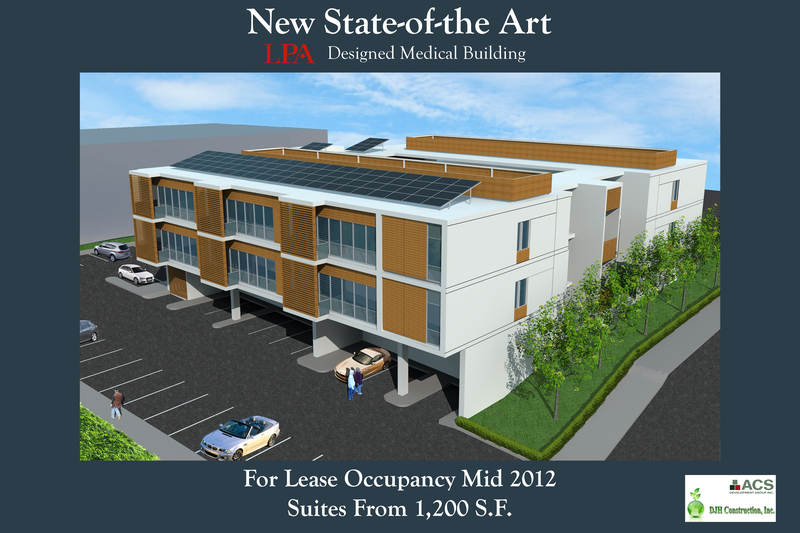 The plaza was designed by LPA, a sustainable architecture firm based out of Irvine, CA. The construction process for this state of the art, 20,800 sq ft facility is being headed by the The ACS Development Group Inc. 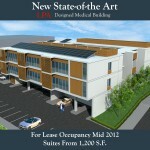 The image rendering below, courtesy of EnterArc, illustrates the medical plaza upon completion. The 31,000 watt PV system will rest on the south-side of building’s roof and when completed, will produce over 45,000 kilowatt hours of energy annually. As the sustainable building trends continuing to grow in Southern California. Many businesses are finding that incorporating renewable technologies creates a positive return, both environmentally and financially.